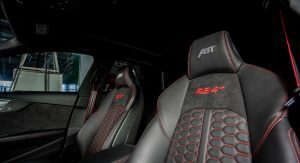 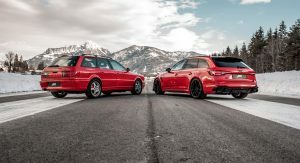 Taking a break from promoting tuning kits for VW Group models, ABT Sportsline is paying a photographic tribute to one of Audi’s motoring icons, the RS2 Avant. 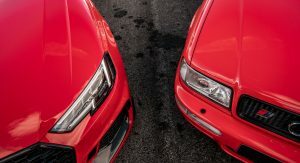 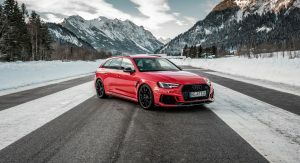 The car that started it all for the Audi RS performance brand and which was a joint venture between Audi and Porsche met its youngest offspring, an 2019 RS4 Avant, on an airfield for a photo shoot. 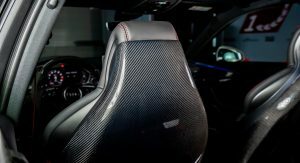 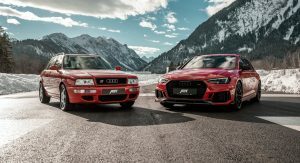 Neither of them is stock, with the 25-year old RS2’s 2.2-liter turbo five-cylinder featuring a modified turbocharger, an adjustable camshaft and a stainless steel exhaust system. 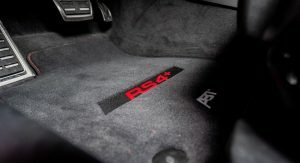 The result is a boost in power, from 315 PS (311 hp / 232 kW) to 360 PS (355 hp / 265 kW). 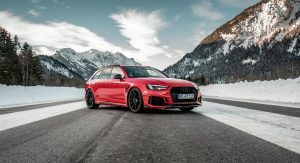 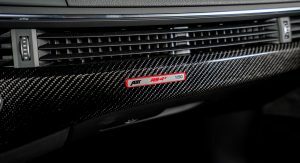 With the tuner’s own engine control unit and a few other upgrades, the 2019 Audi RS4 Avant has an extra 80 PS (79 hp / 59 kW) and 90 Nm (66 lb-ft) of torque. 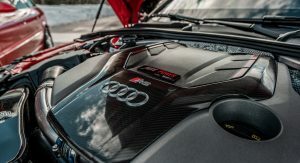 Total output is raised to 530 PS (523 hp / 390 kW) and 690 Nm (509 lb-ft) of torque. 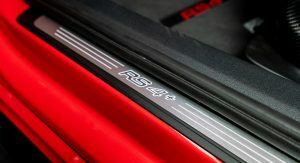 Contributing to the special character of the super estate are the height-adjustable springs and sport anti rollbar. 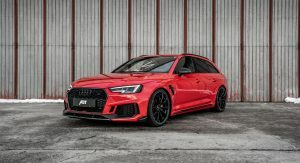 The car sits on a set of 20-inch wheels with a glossy black look and gets new grille frame, front lip add-on, side blades, rear skirt add-on and spoiler, as well as a few updates inside, such as the integrated entrance lights, shift knob cover and start-stop-switch-cap. 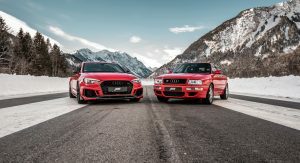 Which one would you have for a weekend? 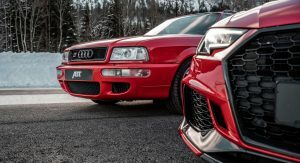 I agree, I think it looks much cleaner and classier, and the exterior has aged amazingly well. 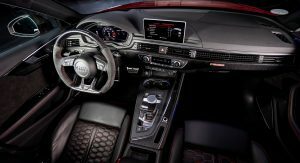 It’s only inside where you can tell that the basic AUdi 80 it was based of debuted in 1987…. The 1994 version over the current mess any day. 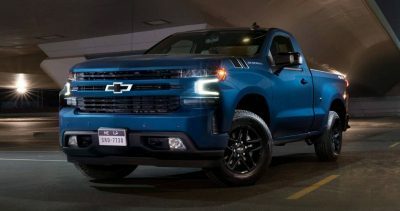 I hope whoever designed the current one looks at the 90’s model and hangs their head in shame.